on ADA Compliance: Why Don’t Businesses Comply on their Own? In the past, I’ve tried to take a factual stance on accessibility. No preaching, just the facts. But facts don’t always say much — facts change. They come and go. For this to be a successful business blog, it needs to reach out and take a stand. This company needs to present its philosophy, so that the general reader, potential client or not, understand why we do what we do — which is in a significant sense — even more important than what we do… as why we do something shapes everything about what we do. If you are reading this I assume you know something about what YTA does. From the point of view of businesses, we are consultants who help businesses lower their liability by making rational accessibility tips. From the point of view of people who are disabled, we help make the world more accessible, but in a way that is nice. For activists, this may be too nice. In the most extreme position of activists, we are not helpful at all — we should be threatening to sue places that violate accessibility guidelines — and then actually suing the places to force them to comply with the law. At the most basic level, this is what accessibility compliance entails. Compliance with the law. We have had some clients tell us “we don’t want people like that around here” and “i don’t believe that new ramp would ever get used” (as if disabled people do not exist). Both are appalling to hear and thank goodness, not many people say it. Whatever level of engagement you are willing to do for your clients, accessibility is still required by law. 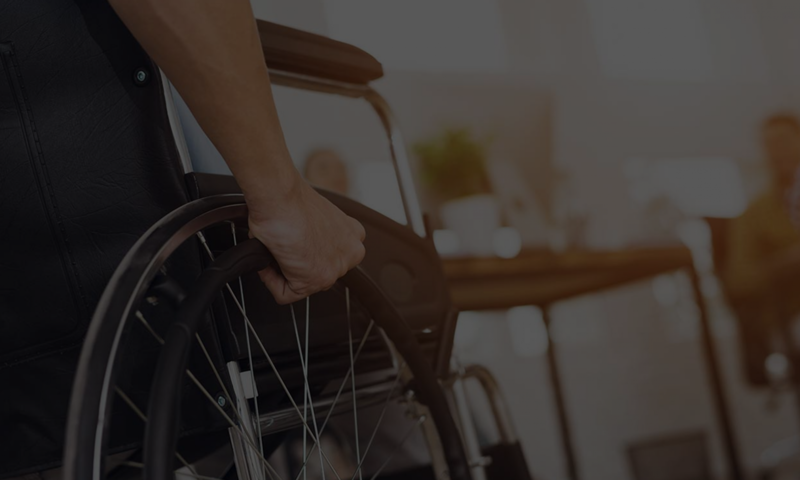 Now that you’ve read the link, regardless of what major life activity has been substantially limited, individuals with a limiting condition must be able to gain access to goods and services in the same way as the general public. This can extend to having assisted listening devices, to having grab bars in the restroom, or having door ways widened so a wheelchair can fit through them. Likewise, having architectural or structural barriers which trap people, or prevents people from getting what everyone else can get (such as a soda fountain switch that is too high up) would qualify as a violation of the ADA. Think of the difference between ketchup packets and having a push button on a ketchup-condiment dispenser. The few items I have mentioned are simple. Much of what business owners would make of these depends on their attitude. Many business owners are scared away from compliance because they are afraid of expensive changes like tearing down structural, load bearing walls. Or putting in expensive ramps. Or completely changing the way the parking layout is and not having any site parking for a week. So these become “justifications” that serve to downplay the relevance of ADA compliance work. Having this kind of work isn’t often the case, but it could be. The flip side is that business owners may need to change many inexpensive things. Such as changing the door handles on doors that access public spaces and doors that serve as pathways of egress and ingress. Or lowering a counter that is made of wood. Or lowering or raising a sink in one restroom. These business owners might bitterly complain that the ADA is ‘nit-picky’. Again that depends on your attitude. Both positions are on opposite sides regarding the monetary commitment involved in ADA compliance — yet both sides assume their position as reasonable to justify the dismissal of ADA compliance! Now, not all business owners we’ve spoken with have this attitude. Nonetheless, this little dialectic suggests that downplaying the importance of ADA compliance is unrelated to either position. Having any excuse to toss aside the ADA is a pathological attitude. After all, is it nit-picky to ensure that your customers have a good experience, or an experience that is safe for them? Is it nit-picky to consider the wide range of ability, age, and condition of every person whose money is green? This gets us to the baseline of businesses. All businesses need to have positive cash flow in order to be a viable. We understand that. The ADA does make some allowances on what is ‘readily achievable’. The basic idea is that small entities that can’t afford costly renovations. What is the determining factor of what is costly depends on a great many things. Larger corporations, of course, will have a higher threshold of what is allowable. Yet if each business saved a dollar a day, since the ADA became law, that would mean today, each business in operating since the signing of the ADA would have $7,497.00!! This emphasis on money seems to exemplify a basic attitude about the world we live in. This recent story on NPR, Is Marriage Rational comes to the conclusion that marriage is in fact not rational because it makes little economic sense. Personally I find it a sad affair that money has to be the determining factor as to the viability of anything. After all, why be a doctor or an attorney, if you’re after money? All that schooling… and that huge debt… Yet even this impetus on money isn’t enough to spur business owners and property managers to take steps to become compliant. Fines in California are 4k minimum per violation. That’s enough dough that it’d make you’d think that even medium sized businesses would comply. Add on the cost of a attorney fees and yet even this dollar amount does not seem enough to encourage action!! It seems that even with the letter of the law — found in Civil Code Section 51 stating that violations of the ADA are acts of discrimination, bearing fines of at least 4k per instance — is not enough for business owners to make sense of what they should do. This suggests that saving money and limiting liability isn’t what business owners think as being important enough to initiate action on their part. Should businesses wait for a lawsuit to happen? Because then they have to pay 4k plus attorneys fees. Or should they spend some money, hire a consultant who is familiar with the intricacies of these requirements and then pay the few thousand (or in some cases few hundred) it would take to comply and then completely avoid that lawsuit? It’s not like they have to do this all at once either! The cost can be spread out over time. Courts do look favorably to businesses that have an operative ADA transition plan in place. If anything, it seems that we as a people have forgotten what it means to be in business or even live among our peers. Success doesn’t come about by simply behaving according to a set of rigid rules. If that was the case, you’d think anyone could be wildly successful. Robots and computers cannot succeed at business. Success comes about like love. It’s a side-effect of successful relationships. Successful relationships take time, take energy and take good-will. Any business owner who would begrudge someone’s grandmother entrance to their facility does not have good will. Instead we often encounter the contentious attitude of us vs them. “We need to get them.” or “they will get us.” This is much like the attitude of the stereotypical “bad renter” who trashes the apartment they rent because it’s not theirs. Even if they don’t own the apartment they still live there!! Who wants to live among all their own filth and garbage? My point: improving accessibility (even if its just to your store) benefits not only the general but the public but also your potential customers. It will come back to you. We all live together in the same city, on the same streets. Just like littering is bad for the community (and thus bad for us individually) so is polluting the environment or not voting and taking the time to learn about what’s important to be able to vote. Fiscal conservatives complain that deficient spending means that our children need to pay for our mistakes. I realize it’s getting to be increasingly difficult to feel a sense of community, especially in big cities like Los Angeles or Chicago where people can be very impersonal. We don’t need to adopt the rat in a cage syndrome though, we are human beings. We have a choice. We need people to be responsible, not just for themselves but others. After all, business owners are leaders in their communities. Business owners employ people. Successful business owners ensure their customers have good experiences and that their employees — the life blood of their business — succeed at their individual lives. This is success behind Zappos. This is also what’s missing in larger corporations that burn people out. Accessibility is one of those indirect benefits. At the very minimum, it requires following the law. That’s important too — not knowing the law is no excuse. Ever tell a cop who pulled you over that you don’t deserve a speeding ticket because you didn’t know the speed limit? But as citizens in the great country of the United States of America, we need to see the reasons behind laws. The principles behind why laws are there. Thats what it means to be a “pillar of the community” someone who not only opens a restaurant to make a living but also to spread the joy of eating at a particular kind of establishment. Businesses serve the public — they serve the needs of the general population. That’s why anyone would go to a business. This is what’s great about capitalism — not greed — but that we can help each other out and get to make a living doing it. Vote with our dollars, as it were. That is also why we exist as a service, to help you achieve accessibility! After all, in ten or twenty years, improving accessibility everywhere will also benefit your loved ones. And if you and I live long enough, having an accessible world will also directly benefit us.